Posted in Misc and tagged Frances Black, Occupied Territories Bill, UN at 5:23 pm on April 4, 2019 by Bodger. 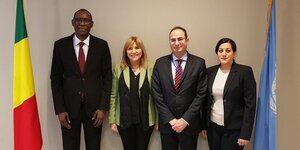 Independent Senator Frances Black in New York to deliver today to UN delegates her Irish bill to prohibit trade with ‘occupied territories’ around the world. Posted in Misc and tagged Frances Black, Palestine, UN at 10:53 am on April 4, 2019 by Bodger. 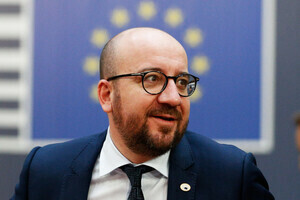 Belgium Prime Minister Charles Michel offered his resignation to his country’s monarch King Philippe following a dispute with his former Flemish coalition partner, the N-VA, regarding the UN’s Global Compact on Migration. Belgium will face a snap election next month. It branded his weakened administration “the Marrakech coalition,” after the city where the accord was signed just over a week ago. The US dropped out of talks on the pact last year and countries including Italy, Hungary, Austria, Poland, Bulgaria, Slovakia and Australia have rejected it. The deal is expected to be ratified at the UN headquarters in New York on December 19. Posted in Misc and tagged Belgium, Europe, migration, UN at 1:45 pm on December 19, 2018 by Bodger. You report that the United Nations has found that Ireland is one of the best places to live. According to the UN’s Human Development Programme Index, we sit behind only Norway, Switzerland and Australia. This is very strange because, based on a lifetime of reading The Irish Times and listening to RTÉ, I had assumed I lived in a backward, misogynistic, capitalist hellhole. Posted in Misc and tagged Ireland, Irish Times letters page, UN at 10:38 am on September 18, 2018 by Bodger. Was at the hurling semi final on Saturday. 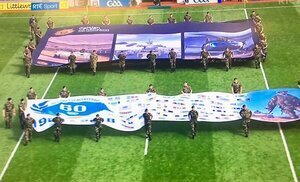 They had some of the armed forces out holding large flags at the beginning of the match to mark 60 years of Ireland in the UN. Fair enough. At half time though they showed this video. 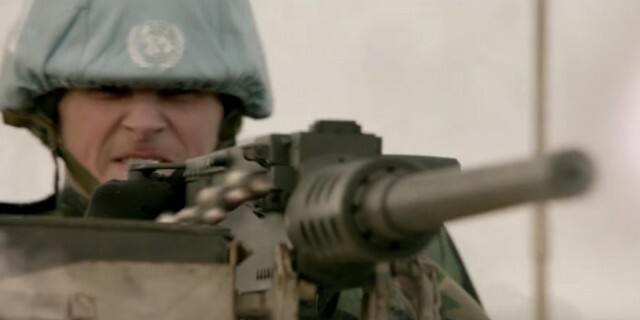 Not sure what a video of people “locking and loading” rifles has got to do with peacekeeping, it was bizarre to say the least. Seemed overly militaristic. Posted in Misc and tagged Is The GAA The Illuminati?, Mission Creep, UN at 9:35 am on July 30, 2018 by Aaron McAllorum. 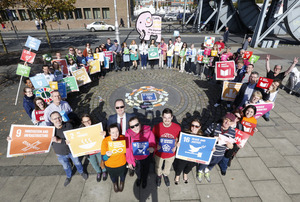 A coalition of Irish NGOs call for the government to follow through on “the promise Ireland made when signing the UN Sustainable Development Agenda” in 2015. 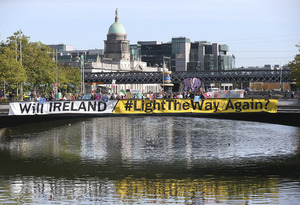 The grouping displayed a giant banner on Rosie Hackett Bridge and lead a march through Dublin City centre to mark the 2nd anniversary of the adoption of the Agenda 2030. 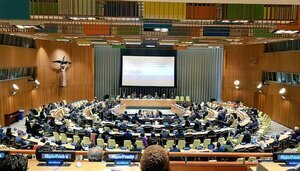 Posted in Misc and tagged Agenda 2030, UN at 4:49 pm on September 25, 2017 by Broadsheet. 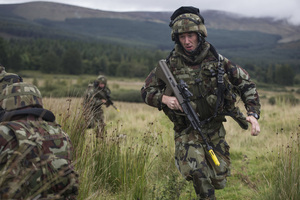 The 56th Infantry Group completed the first week of their ‘mission readiness exercise’ in preparation for their forthcoming deployment to the United Nations Disengagement Observation Force (UNDOF) in the Golan Heights in October. This phase of training is a culmination of three months of intensive preparation for deployment overseas. 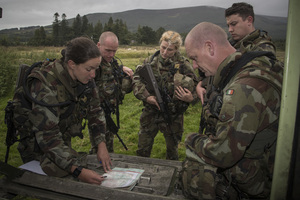 The Mission Readiness Exercise puts commanders and soldiers through a series of demanding scenarios based on potential threats that may be encountered in the mission area. 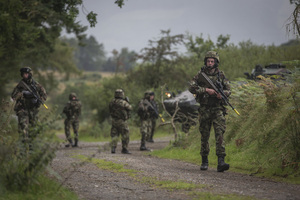 Troops secured, extracted and evacuated personnel involved in a complex scenario. 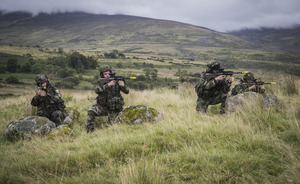 The 56th Infantry Group will rotate into the mission area under the command of Lieutenant Colonel Dermot Hanifin. 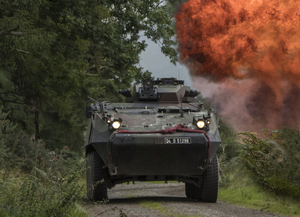 They have a wide range of capabilities including Armoured Force Protection, Patrolling and Mobility, Communications, Medical and Operational Expertise. 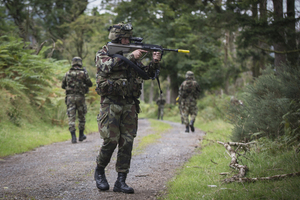 Posted in Misc and tagged Defence Forces, Irish Army, UN at 4:11 pm on September 8, 2017 by Broadsheet. 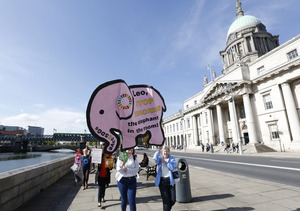 The UN Committee on the Elimination of Discrimination against Women has published its latest findings on Ireland. 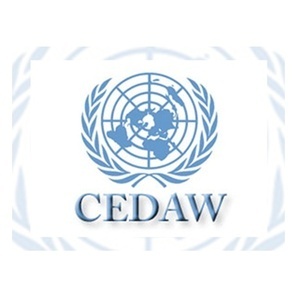 …The Committee is particularly concerned that legislation which discriminates against women, or has a disproportionately negative impact on women, falls outside the scope of the Equal Status Acts 2000 – 2015. The Committee recommends that the State party amends section 14 of the Equal Status Acts 2000-2015 to ensure that an effective remedy is available for discrimination that has a legislative basis. Posted in Misc and tagged UN, Women's Rights at 4:53 pm on March 6, 2017 by Broadsheet. I came across this the other day. The official plot of this movie made me think it couldn’t possibly be a real movie. Then I watched the trailer… It’s like a Trump fever dream. Now I can’t wait to watch this piece of poo movie. 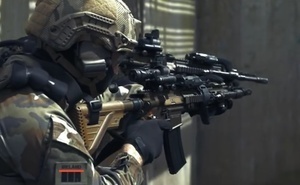 A fictional depiction of a future wherein a globalist terrorist organization aligned with the United Nations to disable the United States’ power grid and institutes Martial Law. It will take a dedicated family of patriots armed with strong survival skills and the remains of the Second Amendment to save America and reclaim its freedom. Posted in Film, Video and tagged Second Amendment, UN at 1:40 pm on September 23, 2016 by Broadsheet. My view is that if we were to decide to have a referendum to repeal the eighth amendment in October, it would not be passed. I will explain why. There needs to be a real discussion here. If we are going to attempt to remove this from the Constitution, people will want to know what we intend to replace it with. I have had problems with this genuine question. With respect, I do not accept from the Deputy that we should make a rush to judgment in this instance. The UN committee’s verdict in this sensitive and distressing case is non-binding. It is not like the European court. It speaks for the distress caused to this good woman. As the Deputy knows, another case is being processed. It is right and proper for us to follow the route of having a properly selected citizens’ assembly that is able to do its business of reflecting on the eighth amendment and what it might mean. The assembly will consider what changes, if any, should be made to the eighth amendment and how they might be made. If we are to ask people to vote on this issue, at least we should be able to tell them what will replace the eighth amendment if they vote for its removal. People need to know the options and the consequences. I genuinely believe people have a right to be able to discuss these things. This matter divided Irish society for over 30 years. I ask the Deputy to believe me when I say it is not a question of a lack of courage. It is a question of understanding that the entire population has a responsibility and a role in this regard. It is not as simple as saying that a referendum should be held to take out the eighth amendment without saying what it will be replaced with. 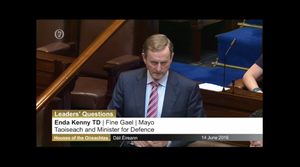 Taoiseach Enda Kenny speaking during Leaders’ Questions yesterday. He was speaking in response to questions from AAA-PBP TD Ruth Coppinger, in light of the UN Human Rights Committee’s findings on the case of Amanda Mellet. That really pisses me off. 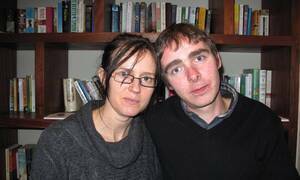 No hurry, says Enda, as even now Irish couples are living with the reality of a FFA. Posted in Misc and tagged Abortion, Amanda Mellet, Enda Kenny, UN at 11:18 am on June 15, 2016 by Broadsheet.